Reverse thread extractors for removing agraffes, tuning pins, bolts and screws. A hole is drilled in the broken part and the extractor is inserted. 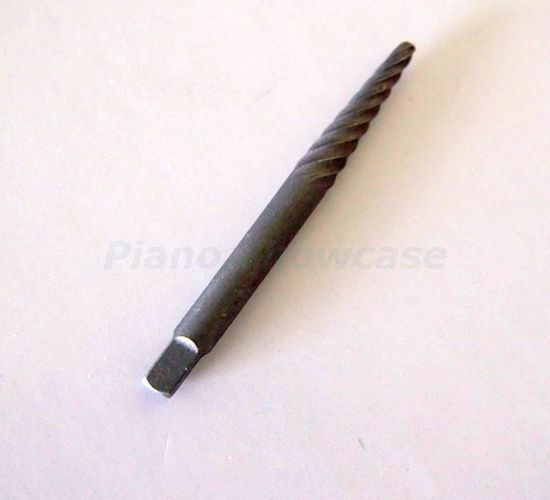 Turned to the left, the spiral flutes grip and remove the broken part without damaging the threads in the hole.